"His best friend Joe Tate...was asked to carry this message to other veterans so they don't have to suffer as he did," said Steven Heiges, who now leads the Captain John D. Mason Peer Outreach Program. 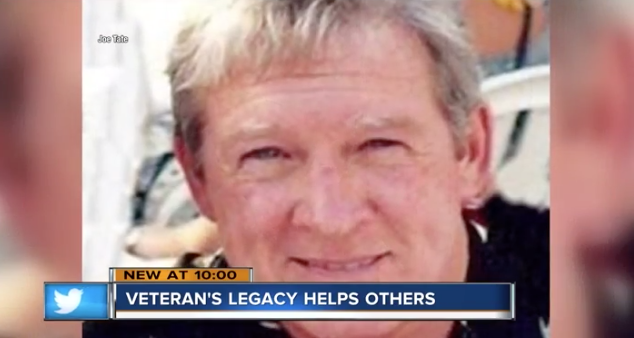 A new outreach program at the Medical College of Wisconsin was created and named after a veteran who lost his own battle with depression and PTSD. The Captain John D. Mason Peer Outreach Program will help veterans connect with health care and mental health resources at the Veterans Affairs hospital. Mason served in Vietnam and struggled silently with depression and PTSD. He never sought any treatment and in 2013, he committed suicide. He left five suicide letters, one to his wife, one each for his two children, one for his best friend and one addressed to all of them. His best friend Joe Tate decided to take that fifth letter and record himself reading it out loud. In the letter, Mason says he hopes his death will help other veterans struggling. "Get me to the VA so they can stop someone else," Mason wrote. "Too late for me." When Tate received these letters, he decided to approach the Medical College of Wisconsin with Mason's wishes.